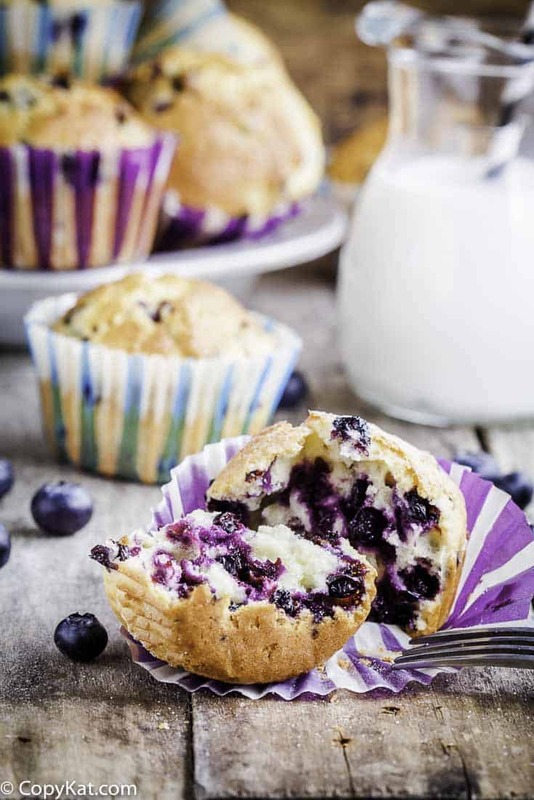 Home » Bread Recipes » Otis Spunkmeyer Blueberry Muffins – what’s better than fresh blueberry muffins? Otis Spunkmeyer Blueberry Muffins – what’s better than fresh blueberry muffins? Otis Spunkmeyer Blueberry Muffins are some of the best blueberry muffins around. You can recreate these muffins at home! 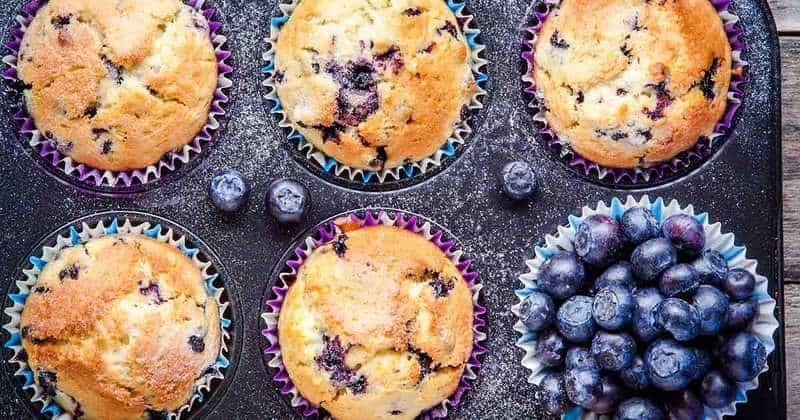 There’s nothing better than fresh blueberry muffins and Otis Spunkmeyer Blueberry Muffins are some of the best blueberry muffins around. I’m sure you’ve seen them in stores everywhere. These muffins are part of Otis Spunkmeyer’s flagship line of muffins and cookies. 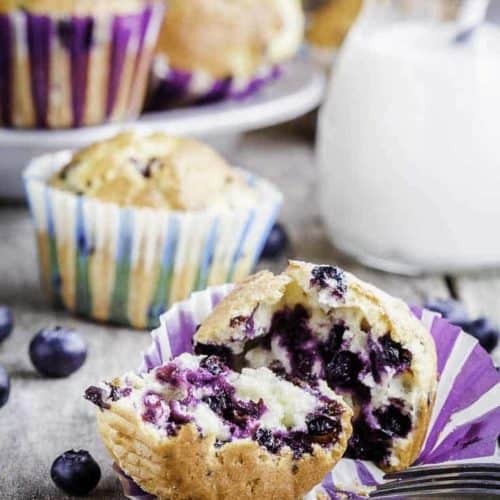 Blueberry muffins that use real blueberries, making an ideal healthy treat for breakfast or a snack. 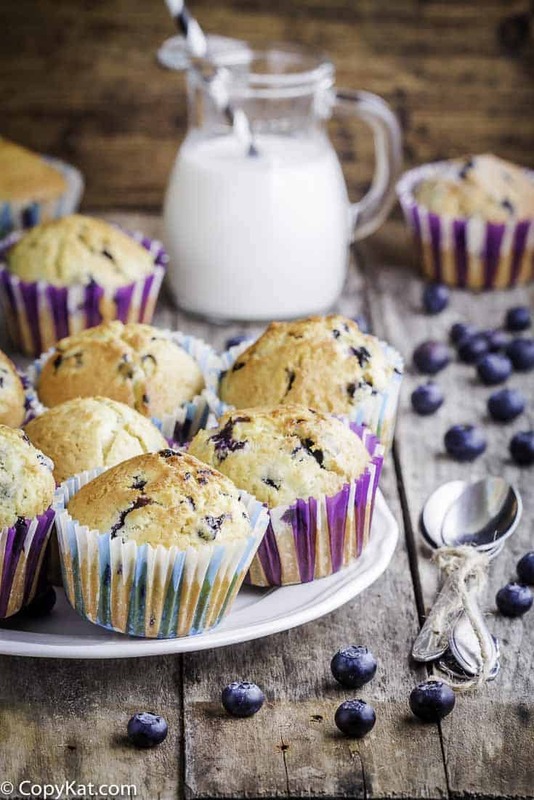 Now, you can recreate these famous muffins at home – blueberry muffins made with no artificial colors or flavors. What began as an idea to take on famous cookie brands like Mrs. Fields, Otis Spunkmeyer soon decided that the way to go was to offer frozen cookie dough to food service establishments. Clients have ranged from small family-owned businesses and restaurants to military organizations such as the United States Army. Read more about Otis Spunkmeyer, by clicking here. You are going to love how easy is to make these famous muffins at home. They taste just like the real thing with this recipe. Love blueberries? Click here for thirteen recipes where fresh blueberries have the starring role. And, here are a few more. Love Muffins? Here are enough recipes to keep you going for a whole year. You can make Otis Spunkmeyer Blueberry Muffins that taste just like the real thing with our recipe. Rinse blueberries lightly and drain well. In mixing bowl beat eggs until light. To the eggs add cake mix, flour, pudding, vegetable oil, vanilla, and milk. Beat until smooth but do not overbeat. About two to two and half minutes. The batter will be thick. Carefully fold blueberries in batter with a spoon or spatula. try not to break the berries, they can be very tender. Fill muffin cups 3/4 full and place in a preheated oven at 350 degrees for 20 - 30 minutes depending on the size of your muffin cups. Test with a toothpick and taking care, not to over bake. Will make about 9 large muffins or 12 - 15 small muffins. Store muffins in an airtight container. In my opinion the Otis Spunkmeyer Muffins are the best muffins I have ever tasted. Can’t wait to try these. If anyone has a better muffin please send me the recipe. Thank You so much. I’m getting ready to make these again. My grandkids thought they tasted just like the ones we got at the beach where we stayed. I used fresh (frozen from our yard)blueberries and I used about a cup. So glad that your grandkids approved of these blueberry muffins. Where do you buy the 15 0z. Blueberries in liquid? I used a sugar free cake mix and pudding they were yummy!